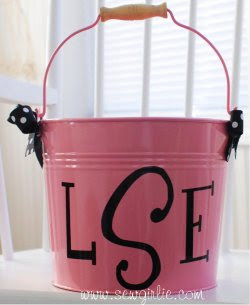 Semi-Slacker Mom has partnered with Sew Girlie to offered this too cute monogrammed bucket! This adorable Bucket that you design will be a very useful gift that can be used all year long. Makes a great Easter Pail for holding all the Easter goodies Perfect for holding all kinds of treasures in your little ones room, from hair bows to toys! Bucket measures 8.5"dia topx7"dpx11.5"HH (7"dia bottom) total height from bottom to top of handles. Please note that all sizes are outside measurements unless otherwise indicated. Colors subject to a modest variance. Plastic liner included. *Go to Sew Girlie's website & tell me what you think is cute. With ball season coming up, I'm loving the monogrammed folding chair cover. *Comment on other one of my posts. *Follow, Fan me on FB, tell me I'm cool. Contest ends on Friday, March 12th. I use a lot of reuseable bags when shop...go green, hug a tree and all. So I really like the Design your own market totes tote. I love the design your own slippers! Now, you already know I think you are the coolest. We had a "moment" on post it note day :o)~ I did fan you on FB and I think the moogrammed sports bottles are great since I have kids who do sports! I like the design your own market totes. I like the design your own hostess aprons. YOU ROCK!! annnnd i blogged about it at www.sparklesandsundresses.blogspot.com ... i love the personalized wine glasses!! so me!! I'm a New follower yay..
all their stuff is awesome! And I would totally fan you on facebook. But that would kinda defeat the whole alias blogger thing. You understand. My blog is my secret life. I love the monogrammed market tote. I wouldn't use it at the market- but it would be so cute in a bedroom!! I like the $20 monogrammed tote. I could really use that! I commented on your other post and that was before I knew about the giveaway!! Of course I follow you!! You are totally cool!! I love the design your own market tote. Those are so cute and would make a great picnick basket! And I'll follow you too! I love the folding chair cover and I love the design your own market tote! 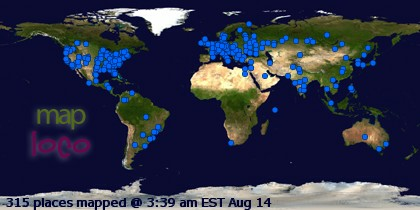 I am following you now, #351, and I think you are cool! Love your background. I commented on your post "Because I'm Domestic and All".. I ADORE the Monogrammed French Memo Board in the amsterdam olive. It is gorgeous. I'm a new follower. and I expressed my horror at $3 erasers!!! I'm totally digging the tote with the matching lunch lunch tote - preshus. I'm a new follower and will be simultaneously stalking your coolness via Facebook. I commented on your Social Climbers post...I love Miss Beth! Oh my The monogrammed insulated lunch tote... I have a little girl going to kindy next year and that is ADORABLE! I am very much in love with the Monogrammed Bucket 5.5 Quarts like you have pictured! I can think of sooo many uses for that in the classroom. I'd have to have it in green though, because that's just how I am! I thought I had entered already, but aparently I didn't, I'm dumb like that. I would kill for that monogrammed picnic tote! 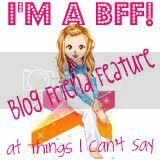 I'm a facebook and blogger follower. Facebook name: Tamara Moon-Roth.
! Even though I almost forgot to enter this contest!